Twelve-year-old Marion Parker was kidnapped from her Los Angeles school by an unknown assailant on December 15, 1927. Her body was found days later, delivered to her father by the killer, who fled with the ransom money. When William Hickman was hunted down and charged with the killing, he admitted to all of it, in terrifying detail, but that was only the start . . .
His insanity plea was the first of its kind in the history of California, and the nature of the crime led to a media frenzy unlike any the country had seen up to that point. Hickman's lawyers argued that their client lived in a fantasy world, inspired by movies, unable to tell right from wrong. The movie industry scrambled to protect its exploding popularity (and profits) from ruinous publicity. Outside of the courtroom, a country grew starved for every awful detail, and the media was only too happy to feed that hunger. David Wilson, a private investigator for over thirty years, captures the maelstrom of Marion Parker's death in vivid detail. 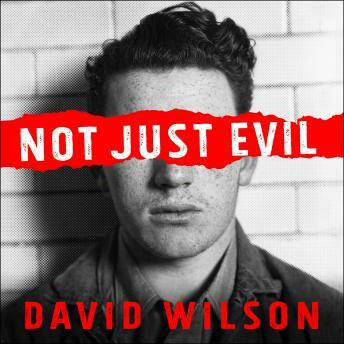 From the crime itself to the manhunt that followed, from the unprecedented trial to its aftermath, Wilson draws the listener in to the birth of the celebrity criminal.